Matthew Scott Shiozawa was born on May 3, 1980 in Chubbuck, Idaho. His family owned and operated a large potato farm outside of Pocatello. He was taught at a young age the values of hard work, dedication, and integrity. Many of Matt’s fondest memories are of his days spent running tractors, bailers or other large farm equipment, most of the time before his feet could even reach the pedals. Matt’s farther, Kent Shiozawa put a rope in his hand about the time Matt started riding his first pony. It wasn’t just roping that Matt focused on but baseball, basketball and football. As Matt grew older and time grew more precious, some extracurricular activities had to be dropped to concentrate on the sports where Matt showed the most promise. It wasn’t long before everyone realized Matt would be a stand out in the rodeo arena. Before long Matt was winning national titles. Matt and his dad would travel to all of the Little Britches Rodeos with four or five other kids all loaded up in their truck and trailer. This is where Matt learned the "ropes" of the sport he would soon call his profession. Matt was old enough to apply for his PRCA membership card his senior year of high school. He competed for 6 years before he qualified for his first National Finals Rodeo. Not only did he qualify he also won 3 consecutive rounds something no one had ever done their first year. Matt has now gone on to have consecutive stellar years. 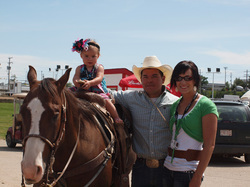 At his second NFR appearance Matt found himself ever so close to his ultimate goal. 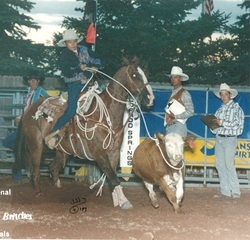 He ended up Reserve World Champion of professional rodeo. It wasn’t long before Matt would meet his future bride at a rodeo in Nampa, Idaho. Ali and Matt were married on April 13th, 2007 during the Logandale Rodeo. They are now traveling partners, along with their daughters Stella, Lorelei (LuLu) and Ivory traveling nearly 100,000 miles yearly. They all have their eyes set on one thing...World Champion Tie-Down Roper.